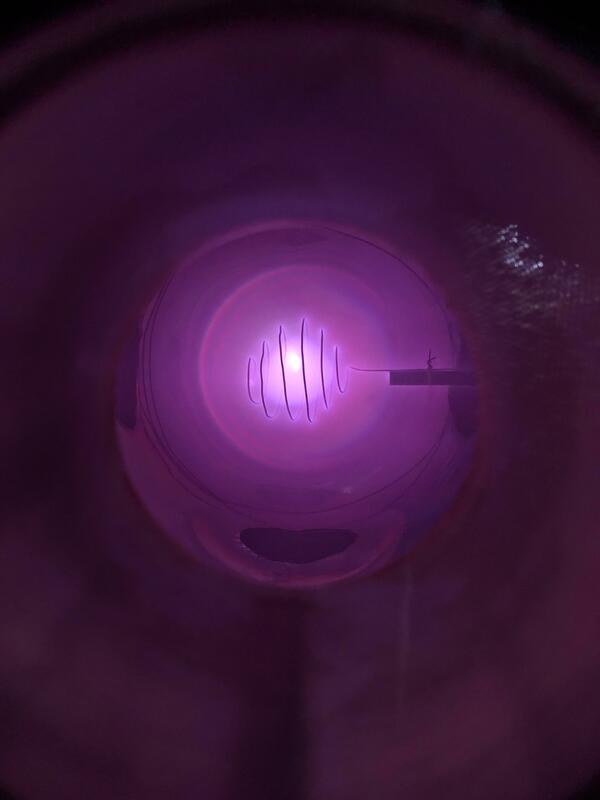 Today we lit up our first plasma! Using Argon gas and the cylindrical vacuum chamber we achieved our first glow discharge. 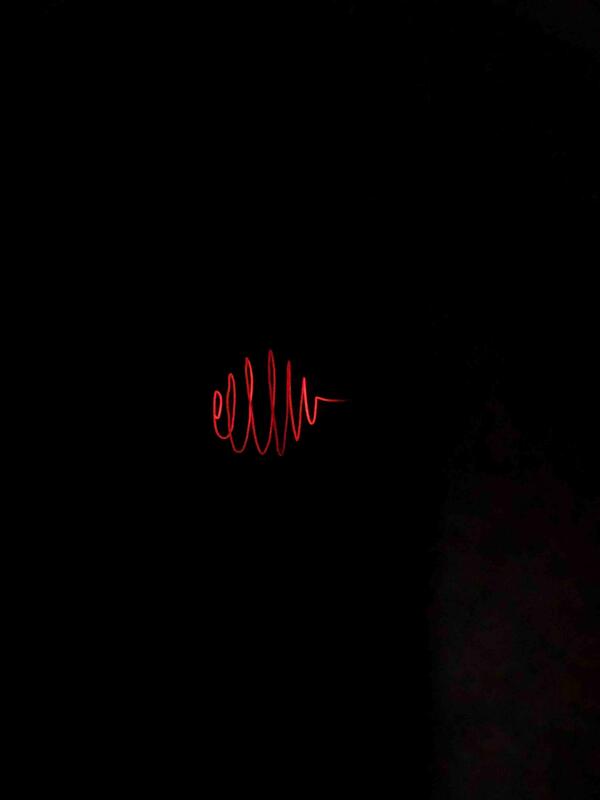 An enhancement in the plasma's confinement can be seen as voltage is increased. This next image shows the aftermath for the electrode when the power supply went from 1,5kV to 0V when it was turned off. 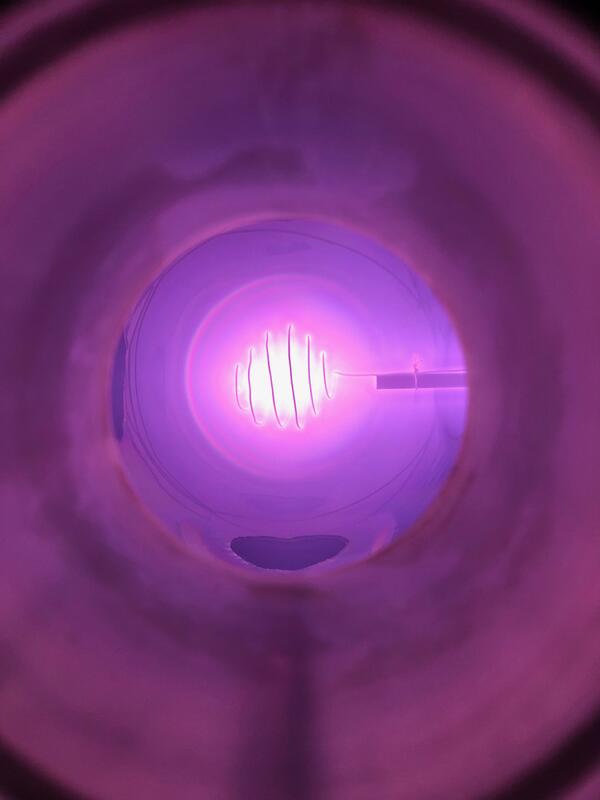 The next step for our fusor project is building a proper spherical GND electrode and rebuilding the inner one using Tungsten. One challenge we have is the negative High Voltage power supply, as we only have access to the 7.5kV power supply our lab has. Ps. As my partner Allan said below this post, we (as a team) would like to be part of the Plasma Group. Last edited by Jose Maria Jimenez on Thu Mar 21, 2019 4:36 am, edited 2 times in total. For instance, we, as a team, would like to apply to the Plasma Club. 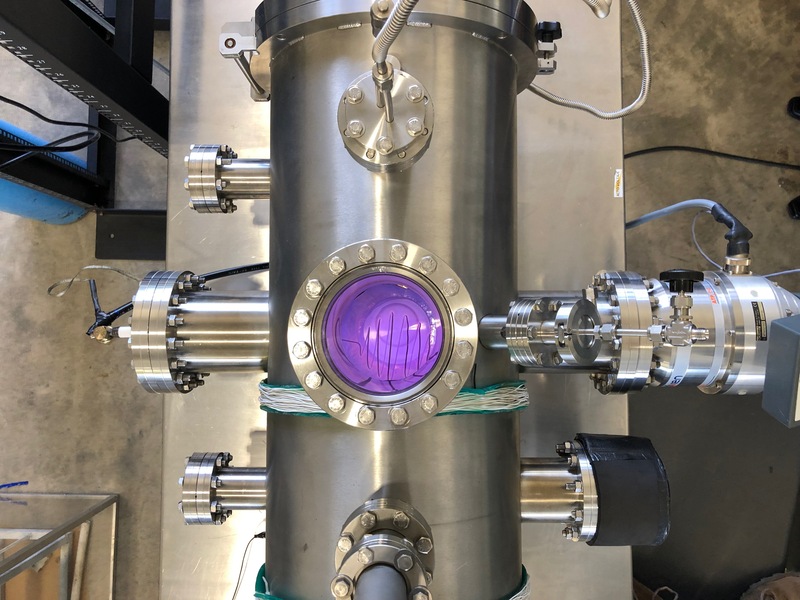 Right now, I'm studying the basis of nuclear spectroscopy for the detection of neutrons and radiation to be ready once the chamber is ready for fusion. Good work with the spherical grid. I have placed both names in the plasma club listing. Your team has a very nice looking setup. I would suggest you be careful reporting your pressure results with such precision. I would be surprised if your pressure gauge has the precision or accuracy to report to the tenth of a millitorr. With the proliferation of digital gauges it's easy to forget the accuracy and precision specifications. Most gauges have gas dependences as well. I could be completely wrong, but as an exercise what are the error bars for these measurements with your particular pressure gauge? Bruce gives sage advice. I was stunned when I got my first convectron gauge last summer. All such gauges are terribly dependant on the gas type. Virtually all come from the factory set up for nitrogen or normal air. I got the convectron for use in a possible, yet to be assembled, Homemade, Geiger tube manufacturing set up. The main gas in the GM will be common tank argon (99+%). After getting the specs and tables for the gauge, I was stunned to see how far off the gauge was on argon!!! When my digital controller is set for air at 760torr or mm it reads air vacuums rather close to a TC gauge. The average GM tube is filled with argon to 100 to 200 mm! Looking at the tables supplied with my convectron manual, if I filled with argon to only 10 torr as read on the air calibrated gauge, it would be 200 torr of argon in acutallity! A truly gross error. Any gauge that relies on a thermal sensor to read pressure is subject to gross error if not reading air or nitrogen. Argon is not a good gas to use and be read out on a TC or convectron gauge. The only true pressure gauge, regardless of gas would be an electronic capacitive, baratron type. $$$$ new. There are correction factors to apply when using gases other than air or nitrogen in a convection gauge that was calibrated for air. Here they are from a convection-enhanced Pirani gauge manual. Note that these factors are valid only for pressures below 1000 microns The differences become very nonliner at higher pressures. Thank you all for your questions as they provide points for us to study and grow. The only answer I can give in this moment is that in that first discharge we used a MKS 979B atmosphere to vacuum transducer. Reading it's user manual I found that the corrections that Bob Reite mentioned are configurable through the transducer interface. Another thing that I know for sure is that argon has been used constantly in the cilyndrical chamber in which the discharge took place, so it would be a pretty accurate shot to say that it was already configured to automatically make the corrections needed for argon. Tomorrow I will talk to my lab peers and to the coordinator in order to confirm this that I just said. Again, thank you very much for your questions!